Planning for retirement often takes a backseat to today’s concerns – whether it’s paying current bills, dealing with immediate family issues or just trying to keep up with the Joneses. That’s why numerous studies show that most Americans are ill prepared for retirement: Many people in the U.S. have more credit card debt than savings. Nearly half of all working adults have zero assets in retirement accounts. And one-third of Baby Boomers between the ages of 55 and 64 have no retirement savings at all. But failing to save isn’t the only thing that can turn your Golden Years into a disaster. David Littell, RICP Retirement Income Program Director at The American College of Financial Services, has created an insightful list of 18 risks that retirees face but may not be thinking about. I’ve added two more risks to the list, so be warned: this isn’t a two-minute read. To make everything a bit more manageable, however, I’ve broken these 20 risks into two columns: this one, and a second article that will run tomorrow. I encourage you to not only read this entire column and the next one, but also to save and print this information, referring back to it regularly as you engage in retirement planning. This is crucial advice that can truly save you from catastrophe in retirement. So without further adieu, here are the first 11 risks among 20 things that can ruin your retirement – plus Littell’s wise solutions (and some advice from yours truly) for avoiding problems that can sabotage your best-laid retirement plans. The Problem: Answer this question: Will you live to age 76, 84 or 92? The truth is that none of us can accurately predict exactly how long we will live. This complicates planning since retirees need to have a sufficient income stream to last an unpredictable length of time. Solutions: Start by making realistic assumptions about your life expectancy and planning accordingly. To predict your longevity, use good online tools, like this living to 100 calculator, which takes into account your personal and family history. Next, minimize your longevity risk by increasing income sources that provide guaranteed payments for life. For example, evaluate buying annuities; taking out a reverse mortgage or owning property that nets you monthly rental income. Also consider deferring Social Security payments until reaching your full retirement age. At age 66, for each year you wait to get Social Security, you boost benefits by 8% for the rest of your life. The Problem: When you’re in the workforce, inflation is often offset by the salary increases you get from your job. But in retirement, you’re typically on a fixed income. So inflation reduces your purchasing power, driving up the cost of everything and potentially hurting your standard of living. Solutions: Carefully account for inflation in your retirement planning, because even seemingly low levels of inflation get magnified greatly over time. For instance, if you’re 50 years old right now, an inflation rate of just 3% annually means that by the time you reach age 74, your costs will be double. The Department of Labor inflation calculator can help you see the huge impact of inflation. Once you know what to expect regarding future costs, you can offset inflation risk in several ways, such as working longer, buying TIPS (Treasury Inflation-Protected Securities), and investing in assets that do well in inflationary times, like real estate and stocks. The Problem: As you draw down on your retirement assets to pay for your income needs, you risk taking out too much money. If this happens, your yearly withdrawals could wipe out your portfolio – causing you to outlive your savings. Solutions: It’s not easy to pick a so-called “safe" withdrawal rate. Conventional wisdom has long suggested limiting retirement withdrawals to 4% annually. But some experts now say a 3% withdrawal rate may be a better bet if you happen to retire during a market downturn. Littell recommends plan picking a realistic withdrawal rate based on a variety of factors, including your appetite for risk, how well you’ve planned for other retirement risks, and the extent to which you’ve properly analyzed periodic large expenditures like replacing your roof or buying a new car. Keep in mind that the size of your (current or projected) retirement nest egg will play a key role in your calculations. Currently, among Baby Boomers who do have 401(k) plans, the median balance in their retirement accounts is $120,000, according to the Center for Retirement Research. That’s not a lot of money, since a Baby Boomer with a $120,000 portfolio would have to take out just $4,800 a year in order to stick to a customary 4% withdrawal rate when he or she turns 65. The Problem: In the workforce, employer-sponsored health care coverage is common. 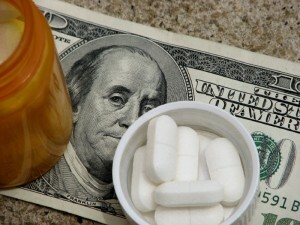 But retirees often pay more for medical insurance, including Medicare Parts B and D and Medicare Supplement policies. Also, out of pocket medical expenses can skyrocket in retirement, especially if you have a chronic or acute illness. Solutions: Choose appropriate insurance, whether that’s Medicare or insurance to supplement Medicare. Other strategies can help as well, including maintaining a healthy lifestyle, buying generic rather than brand-name medications, using high-deductible healthcare plans, relocating to areas of the country with lower-priced healthcare, or even going out of the country for medical tourism. The Problem: According to Littell, “chronic diseases, orthopedic problems, and Alzheimer’s can restrict a person from performing the activities of daily living, which will require financial resources for custodial and medical care." Solutions: Consider buying long-term care (LTC) insurance sooner rather than later. LTC insurance is cheaper to buy in your 50s than when you’re older. This insurance provides coverage if you need to go to a nursing home, skilled care facility, or even if you’re at home and need help with basic activities like dressing, bathing, or eating. Also investigate government options, such as state benefits, programs for Veterans, and Medicare. her financial affairs and/or may become unable to care for their home. A study from the University of Michigan Study shows that one out of three people aged 65 and older suffer from frailty. 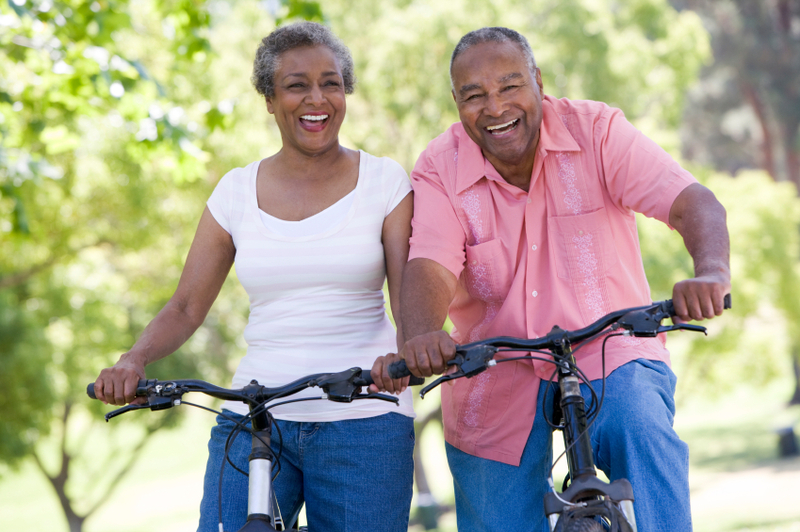 Solutions: Enlist the help of others to help aging retirees who suffer from frailty. Assistance can come from family members, friends, or even paid professionals, such as caretakers or administrative assistants. It’s also a good idea to create legal documents, such as a power of attorney or a living trust, to carry out a retiree’s wishes or authorize someone else to act on his or her behalf at the appropriate time. The Problem: Unfortunately, opportunistic relatives, friends, financial advisers and others may prey on the frailty of retirees, stealing from them, misusing their credit cards or credit, or recommending self-serving strategies or investments. The National Council on Aging reports that financial abuse of the elderly tops $2.6 billion annually. Sadly, 60% of the time the perpetrator is an adult child. 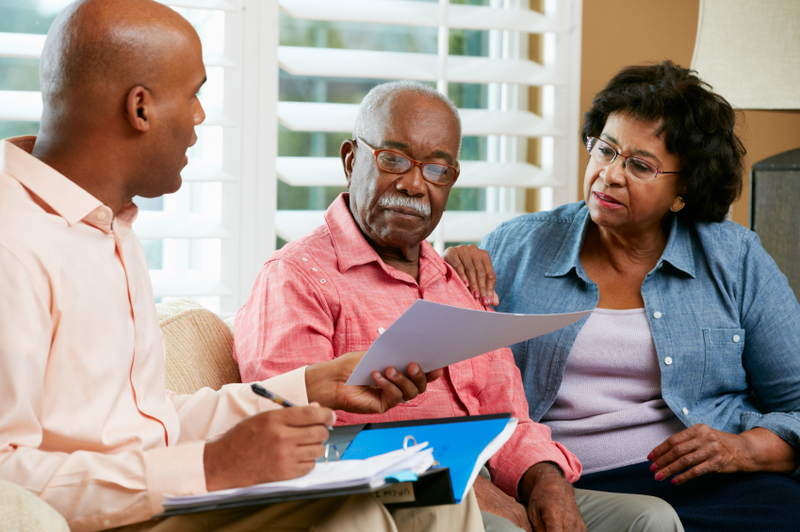 Solutions: Family members should help retirees stay organized and keep track of their assets, income and credit information. Wills, advanced directives, and powers of attorney can all help to ensure that trusted individuals will step in to make decisions when necessary. Finally, anyone who spots elder abuse should report it to the authorities and also seek assistance from social workers, government agencies, or others when needed. You can reach your state’s Adult Protective Services division by calling the toll-free Eldercare Locator hotline at 1-800-677-1116. Eldercare Locator is public service of the U.S. Administration on Aging. The Problem: As most of us know, anytime you invest in the financial markets, you can lose money based on market fluctuations. But market risk is most acute in the final years prior to retirement and the first few years of retirement. Solutions: Choose what Littell calls “a bifurcated investment strategy," with investments and products with little or no market risk chosen to meet basic needs and more market risk taken to address discretionary and unexpected expenses, as well as legacy goals. With this approach, basic expenses can be met with Treasury or other low risk government bonds, buying annuity income, or even deferring Social Security benefits. The Problem: This is the risk that arises for bond owners due to fluctuating interest rates. This area is especially important for retirees, because many of them tend to be more conservatively invested and to hold considerable amounts of bonds in their portfolios. But in today’s low-rate environment, bondholders and other savers may feel like they’re not getting a good return on their investments. Solutions: Focus on a “total returns" approach in a low-interest rate environment, and use “asset dedication" and “asset immunization" to handle interest rate risk. Asset dedication technically eliminates interest rate risk since this strategy involves holding bonds to maturity and liquidating the bonds to meet future income needs. With asset immunization, you offset interest rate risk by reinvesting bonds at the appropriate time. The Problem: Liquidity risk occurs if you don’t have the assets available to cover unexpected cash flow needs. In other words, you may have certain assets – like real estate, a business or annuities – but you can’t sell them quickly (or without financial penalties) to raise money. Solutions: Have a healthy cash reserve, investments that can be immediately liquidated without negative consequences, or establish a flexible line of credit – such as a home equity line – that that can be used in an emergency. The Problem: Investment returns are variable and unpredictable. The order of returns has an impact on how long a portfolio will last once funds start to be distributed and if a fixed amount is being withdrawn from the portfolio. In a nutshell: “Negative returns in the first few years of retirement can significantly add to the possibility of portfolio ruin," Littell says. 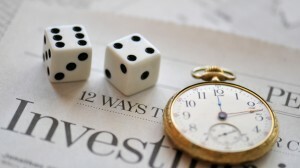 Solutions: Reduce volatility in your retirement portfolio to trim sequence of returns risk. Also, provide for downside protection in a portfolio. For example, annuities can be purchased with living benefit riders that provide minimum income features. In tomorrow’s column, I’ll explain the variety of work, family and other risks you need to consider in order to successfully plan for retirement. © askthemoneycoach.com. All rights reserved.